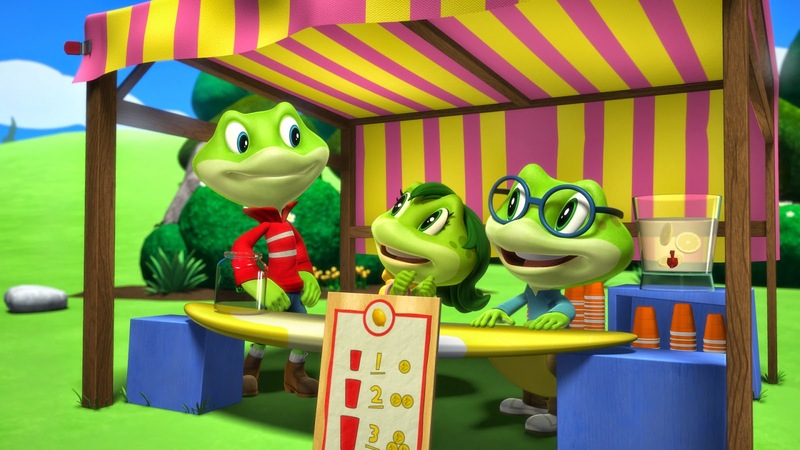 I was extremely excited when I was asked to review the new LeapFrog Letter Factory Adventures: Counting on Lemonade. Not only have my children always been huge fans of the LeapFrog toys and learning resources but I knew with Declan starting school soon, he would enjoy a visual learning program. 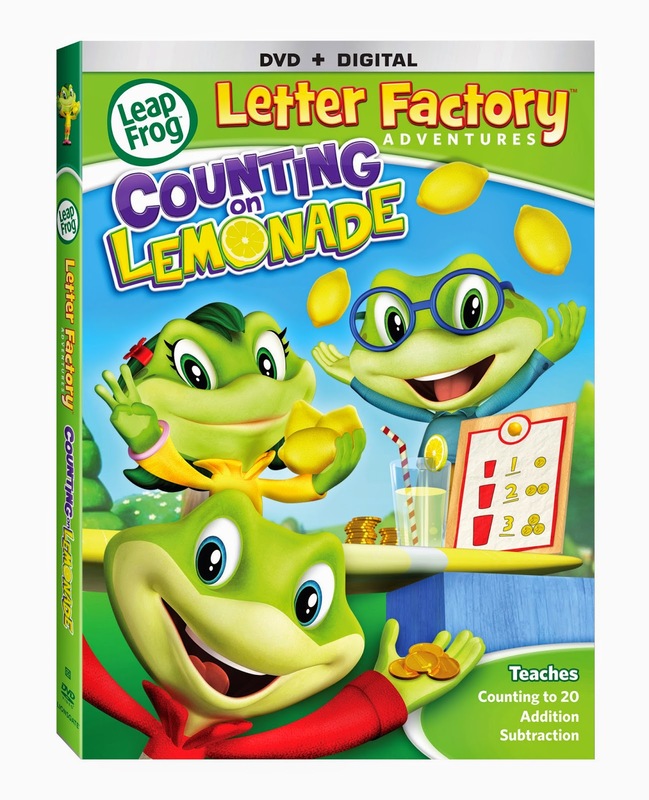 LeapFrog Letter Factory Adventures: Counting Lemonade just become available on DVD on September 9th, 2014 from LeapFrog Enterprises, Inc. and Lionsgate Home Entertainment. "LeapFrog’s award-winning product portfolio is designed to help children achieve their potential by delivering best-in-class educational curriculum through age-appropriate technology-based platforms, fun toys and engaging content." The synopsis says "Tad, Lily, Leap and friends stir up lots of learning fun when they decide to sell lemonade and use their earnings to buy new books for the library. 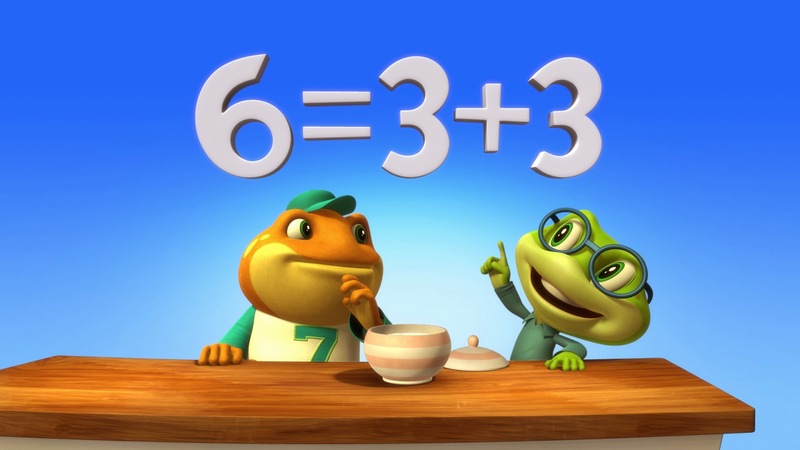 With the help of Cousin Toad, Matilda, Quigley and Burfder, the twins apply their new skills in counting, addition and subtraction to their new venture of making the most delicious lemonade ever!" 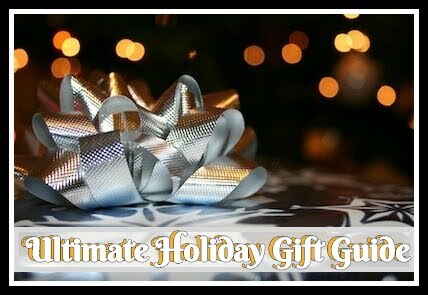 This collection includes three new CGI animated episodes and learning songs as well as a parent curriculum. There are also three all-new original learning songs plus bonus sing-a-long videos and curriculum commentary for parents. Both boys not only loved this but Alana (my teenager) actually enjoyed interacting with the boys right along with the episodes. Recommendation: Now this may seem like an expensive price for a DVD but I will say I think you are paying more for an educational experience than just a DVD. The kiddos loved it! I would love to see more features from LeapFrog! 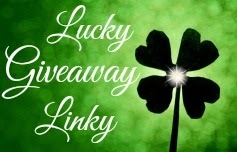 Giveaway: Lionsgate is going to give one of A Lucky Ladybug's lucky readers LeapFrog Letter Factory Adventures: Counting Lemonade DVD of their own! My son is 2 and in preschool, I showed him the clip and he loved it! My little one just turned 4. He is not in school, yet but we are a homeschooling family anyway. He has been doing simple addition for the past few months, so this would be a great resource for him to expand his knowledge. He is in 1st grade and loving it. My granddauthers are in the 9th, 10th, and 11th grades. My niece is too young for school now. I would save this for her for when she is ready. 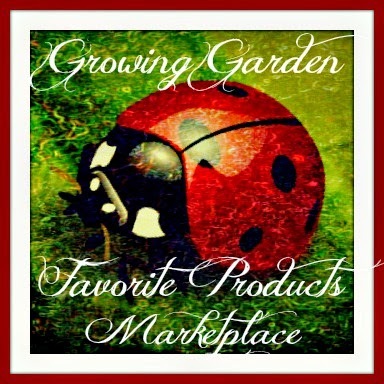 All my grandkids like leap frog products and I like them because it is fun and they are learning. is not in school yet. My daughter is only 2, but I'd love to win these for the future! My daughter is in pre k and she loves it! She is in 1st grade and loves it. My son will be heading off to preschool next week, and cannot wait. My daughter is in pre-k and loves learning! My granddaughter is 5 and she is in Kindergarten, she is really enjoying school. our son is in 2nd grade. he loves school and it comes really easy to him. My second grader really likes reading and math. My toddler will be 3 in a few weeks. He loves educational shows- he already knows how to count and is learning the alphabet. She is in K this year and is really enjoying it. We homeschool her. My twins aren't in school yet. she is in 1st grade and loving it. He just turned one so he's not in school yet but he's learning every day!